Now available: Get this book on Paperback! Air brush contouring in spray tanning allows the spray tan artist to isolate and ENHANCE muscle definition, making it appear they’ve logged extra hours in the gym with just a few quick sprays! 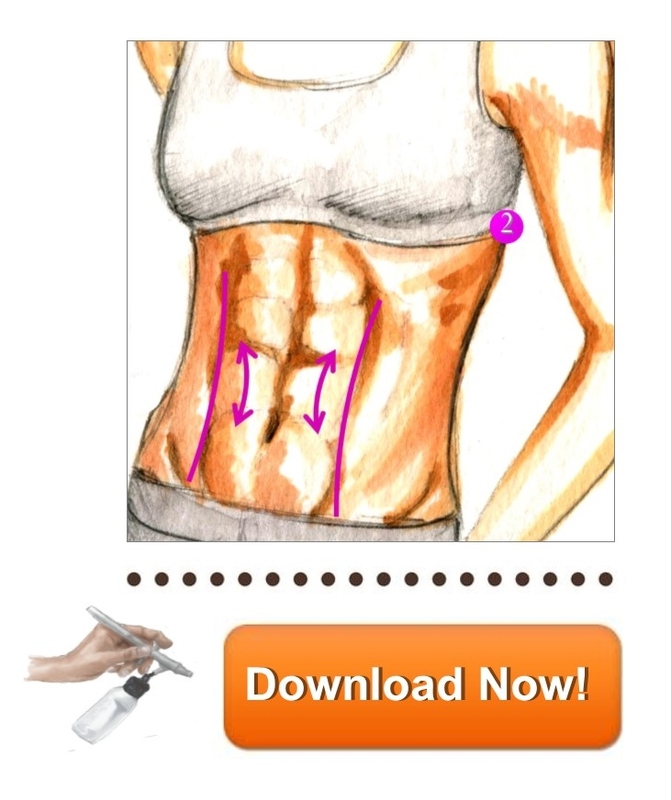 Provide contours for the ultimate airbrushed abs, firm glutes, and everything else, all using your airbrush gun! Hands down, adding contouring to my spray tans COMPLETELY changed the clientele that I attracted and was the single best thing that I ever did for my spray tanning business! I had the idea of bringing contouring into spray tans while tanning some of my fitness model and athlete clients for print campaigns. I knew we could do more with tanning than just base tans…and my clients were VERY interested in helping me explore this. Once they saw the results, they were blown away, and my contouring technique became a necessity for ALL future shoots. YOU don’t have to start from scratch to upgrade your business FOREVER, and stand out from the crowd. so clients tan with YOU over them! 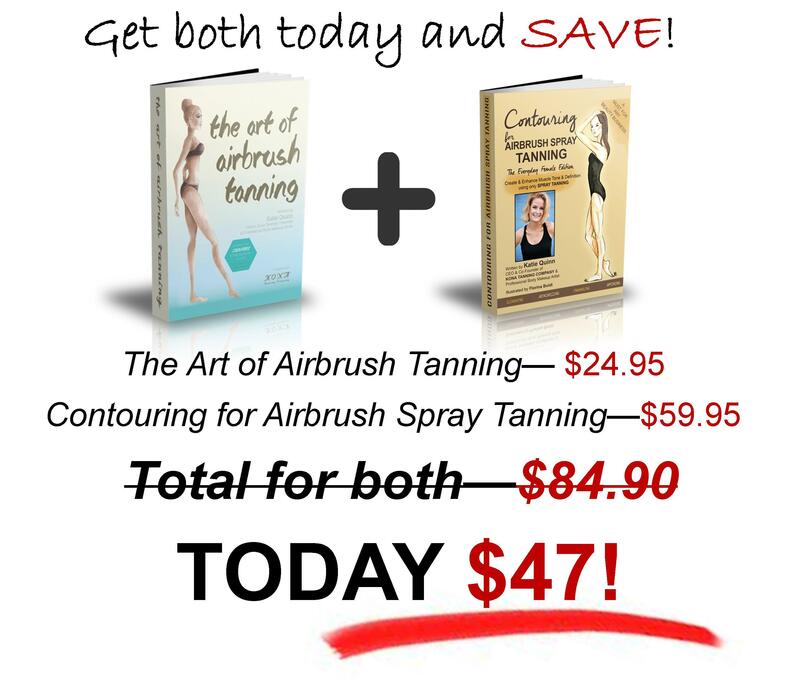 Airbrush tanning has become tremendously popular, and that is NOT going to change any time soon! Spray tanners are worldwide – and there are TONS of stories of successful spray tanning businesses in almost every city. So what will set YOU apart from the competition? Many spray tanners stop their training once they’ve captured the basics of applying a spray tan, or worse – they keep trying to apply contouring without understanding the technique, and wonder why their clients aren’t returning. Don’t make the same mistake so many spray tanners do. Don’t let another year go by being STUCK. “Airbrush abs” is a huge request from nearly every client, and the last thing you want to do as a spray tanner is tell your clients that you don’t know how to contour. By studying Contouring for Airbrush Spray Tanning, you’ll start recognizing the correct placement of muscles, understanding their positioning and flow, allowing you to extend and sharpen a craft that’s unique to your individual artistry and talents. Whether the look being sought after is that of a slender high fashion model, or a dramatically defined fitness competitor, you’ll be able to pull out these looks and increase / soften the drama, all utilizing just your airbrush tanning equipment. With Contouring for Airbrush Spray Tanning, you will be able to offer MORE than a basic spray tan – you will be able to offer masterpieces! “Cankles” and so much more!! Get both books on Paperback! Katie has had the pleasure of working with some of the industry’s top fitness models, celebrities and athletes! Her work has appeared in Muscle & Fitness Magazine, Iron Man, Oxygen, Shape, SELF, Abs Magazine and Fitness Gurls Magazine, along with several major national advertising campaigns and famous faces that we can’t mention. Tanning and fitness go together like salt and pepper, and nothing looks better on a super-toned physique than a rich bronze! A tan helps muscles appear leaner, since less light reflects off skin with a spray tan. Add in airbrush contouring to ISOLATE and ENHANCE muscle definition, and you’ll have one lean, mean, ripped machine (and one VERY HAPPY client)! “Her experience, knowledge, and passion are poured out in her work resulting in an extraordinary product. 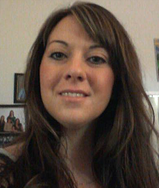 “I own a skincare business and my biggest profit is spray tanning. 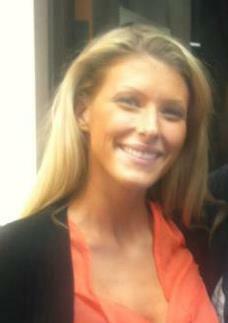 Katie loves working with fitness models because airbrush contouring is easiest (and the most fun!) on super-defined body types. 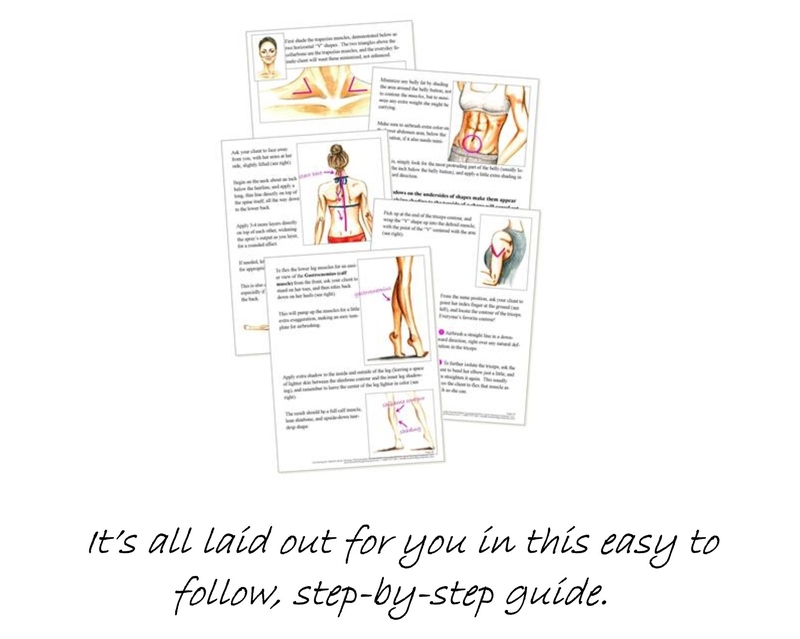 Are YOU active in the fitness industry, and would like to add muscle contouring to yourself, or your clients? Learn more about getting started with airbrush spray tanning.